Ships from and sold by internationalsalesgroup. 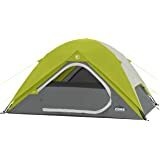 NTK Koala 2 Person 7 by 5 Foot Sport Camping Dome Camping Hiking Backpackers Tent Dry Season with Zippered Door and Compact Carrying Bag. 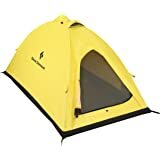 I bought this tent to use while snowmobiling. 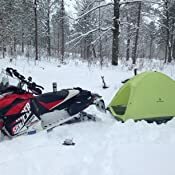 I typically ride 250-300 miles in a day and when I'm ready to stop and rest, I wanted a tent that is quick to set up, packs small, and of course is a 4 season tent. I practiced once at home setting the tent up, and then used it for real the following week. I set this tent up at night with only the light from my head lamp and I had it set up in about 5mins. Outside air temp was 28 (f) degrees and when I awoke there was minimal condensation inside. I had the tent broke down and folded back in its bag before my water had boiled to make coffee. 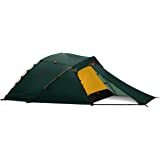 This tent is a heck of a deal on a 4 season lightweight tent for the price. 5.0 out of 5 starsLightweight, handle with care. Lightweight. This is main point of this tent. Certainly very OK size for 2 people. I am 6.4 and feel comfortable enough in this thing. Max volume one can squeeze in 2 adults and kid. A bit cramped then but still reasonable. But then you need to add vestibule for storing gear. Tent so far did not had a test in harsh weather just ordinary moderate rain and average wind. 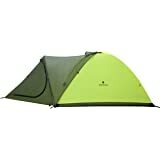 I do not expect same toughness as from I-Tent and when you use it, you should handle with care. That includes a ground cloth, that includes adding some water repellent before use. I will see soon enough how it behaves in poor weather conditions in moderate altitudes of 13K feet. Got this one as my I-tent succumbed to heavy storm and rockfall and is in need of some repairs. Will certainly update on performance later. I love this tent in terms of the weight, robustness of the construction, poles, fabric and overall design. The only drawback is the lack of proper ventilation which causes condensation. 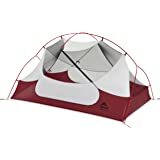 I'd like to see extra vents at the very top of the tent, similar to the BD I-Tent. 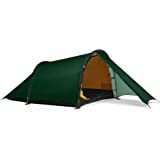 I was considering the I-Tent however the extra weight and price made me go with this one. 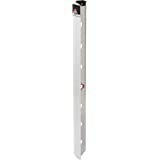 I plan on using it primarily in winter for backcountry skiing where the weight is a factor. The tent package is very small and does not take much space in the pack (size of Nalgene bottle + the poles). Overall a great shelter for winter and shoulder seasons. I'd definitely recommend this to a friend and probably buy it again if I was deciding again. I've been using Bibler/Black Diamond Firstlight for the past 9 years, almost exclusively. I've used 3 versions of this model (25-year-old version, 10-year old version, and this one) and each has been excellent. Losing it after a break-up, I loved it so much that I bought another one. 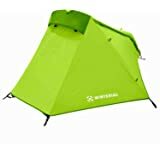 The Firstlight is my go-to tent for backpacking for 1-2 people -- super durable, super lightweight, and compact enough to fit on even the smallest campsite. Some people complain about the length, but I am happy to save the extra weight spent by anything other than a perfect fit. Once properly seam-sealed (it took me about 4 hours), it holds up to any weather I've thrown at it: rain, snow, and wind. Just toss it in the pack and go without worrying if it's excessive or not going to endure the elements. Highly recommended! 1.0 out of 5 starsOnly for use where you can be sure it won't rain! My previous tent was a Black Diamond Lighthouse, which I replaced because it had a slight leak at the top in sustained rain. I assumed this newer tent would be better. BIG mistake! Too short. 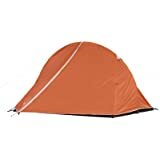 I'm 5'8 (172 cm) tall, and either my head or my sleeping bag at my feet touch the ends of the tent. The wire stiffeners on the vents are flawed. They get pushed closed by wind. Black Diamond told me it's normal for the tent to leak! 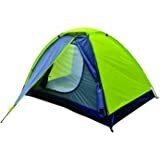 5.0 out of 5 starsAwesome solo tent! This is a great tent. It's crazy light (under 3 pounds including poles, stakes AND ground cloth). One person can set it up in a couple of minutes--and from the inside. This is great if you have to put it up in the rain, or while under attack from a hoarde of mosquitos. 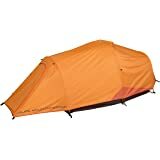 Does a single walled breathable tent really work? It does! I used it in a 6-hour downpour and not a drop of water got in (you have to thoroughtly seam seal it, which takes a while). And although the fabric is breathable, there will still be condensation in some conditions. In heavy winds it deforms (it's a dome tent after all) but you can guy it out to take care of that. 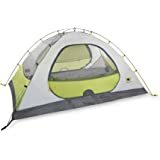 It says it's for 2 people, but it's really a solo+ tent, and for that it's great-- very roomy. The fabric is uber lightweight, but reinforced in the right spots. Still, you need to be careful with it-- like all ultralight gear. I gave this tent to a friend for Christmas. 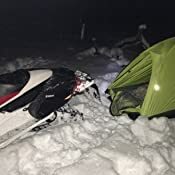 I have owned one for over 10 years myself and have spent over 250 nights out in it having been a Volunteer Backcountry Ranger in Grand Teton National Park. It does not leak and never has even when gail force winds are driving the rain. It also breaths enough to minimize inside frost on cold nights much better than I expected it would. I use it for a one-person tent and find it necessary to sleep diagonally in it so I pitch it with that in mind. It is plenty roomy for all my gear. One thing though, since it is ultralight you will need to treat it with care and always, always use a ground cloth with it. There are many complaints on websites about problems with the floor when it is used without a ground cloth. Following these rules, mine is still as good as new. 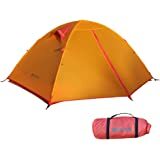 Another observation about this tent is that you cannot leave the door unzipped if you leave camp with the tent set up unless you know it is not going to rain. In some places I go this is a real drawback since, for example in Grand Teton Park which is home to an overwhelming number of marmots. If the door is not open they will chew a hole in the tent to get in. 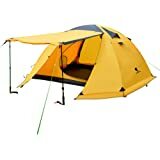 A vestibule is available for this tent which solves the problem but it is too heavy for me to want to carry it most of the time. In which case, I take the tent down and hang my full pack in a tree if I am going on a day hike away from camp. All this being said, I love the tent. 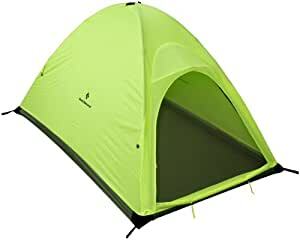 It is my go-to tent for every time I want to sleep solo. There is no other tent I have seen that is even close.